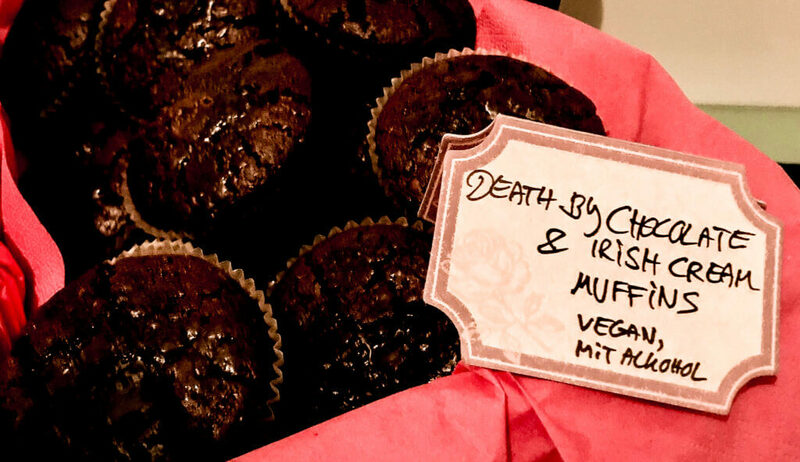 I thought, if I’m going to make chocolate muffins, I’ll be really serious about it. And what’s even better than chocolate? Exactly. Irish cream. 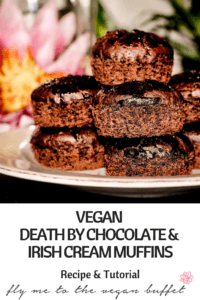 Luckily, I stumbled across the vegan Bailey’s recipe by Oh She Glows a while ago, and based on that I came up with these muffins. I ate one right away when they came out of the oven to check if there is some kind of lava-effect when serving them fresh (there is, at least a little) and then I ate two more (to triple check). After that I went to a yoga class and wondered why I seem to be a little unbalanced today until I remembered the whiskey! Maybe that was just in my head and allegedly alcohol evaporates anyway when baking, but remember to point it out to people when offering those yummy little things. By the way, I like the muffins best from the fridge. Bring coconut milk and 2 tablespoons brown sugar to a boil, stir well and then turn the heat off. Add coffee and whiskey. Stir from time to time. For the frosting, place 7 pieces of chocolate in a cup and add 1 tablespoon of the whiskey mixture and 1/2 teaspoon maple syrup. 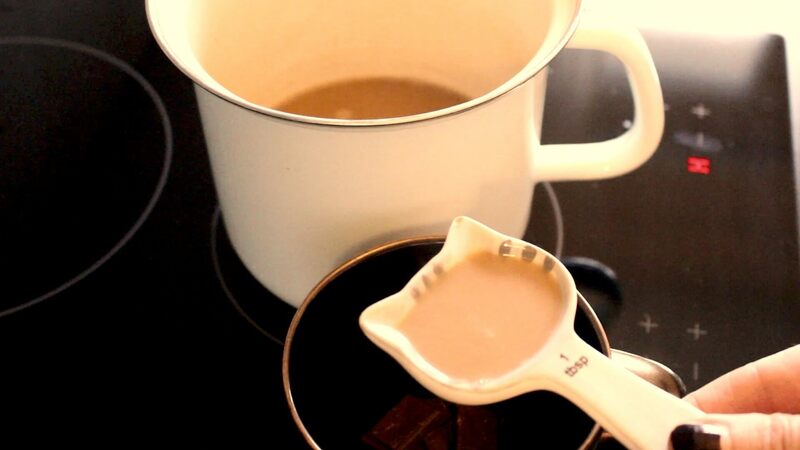 Stir until chocolate has melted and then set aside. 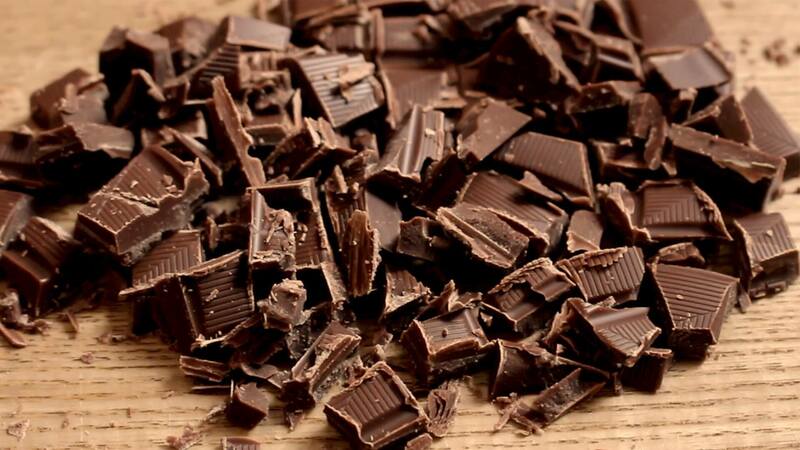 Chop up the remaining chocolate and set aside. 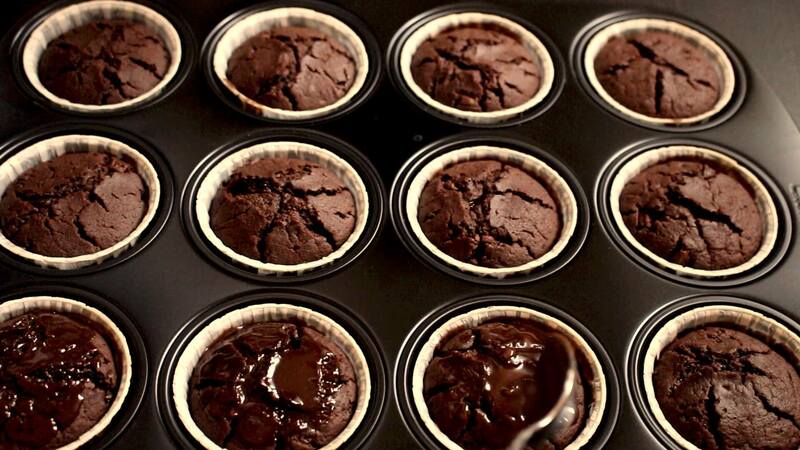 Preheat oven to 180° C/ 375° F and line the muffin pan*. 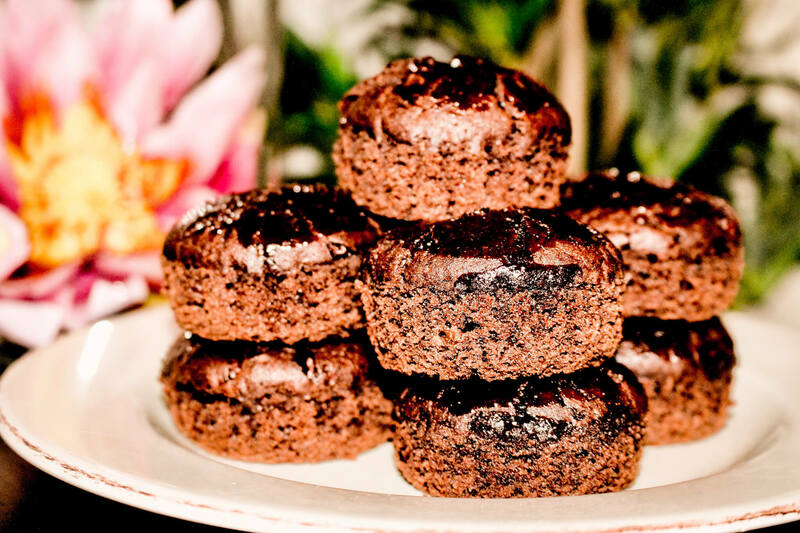 Combine flour, brown sugar, cocoa powder, baking powder, baking soda, salt and vanilla powder in a bowl and stir well. 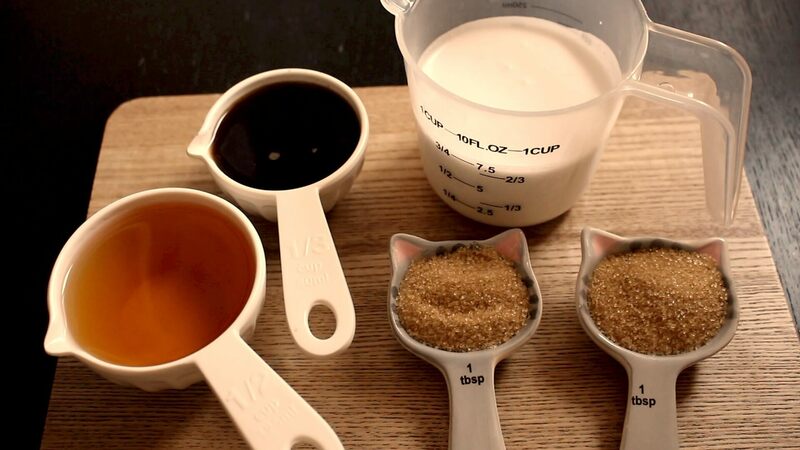 Of course you could also use a liquid vanilla extract, just add it to the liquid ingredients. Add the vinegar and oil to the coconut milk mixture and stir well. Then add to the dry ingredients and stir just a little bit, preferably by hand. 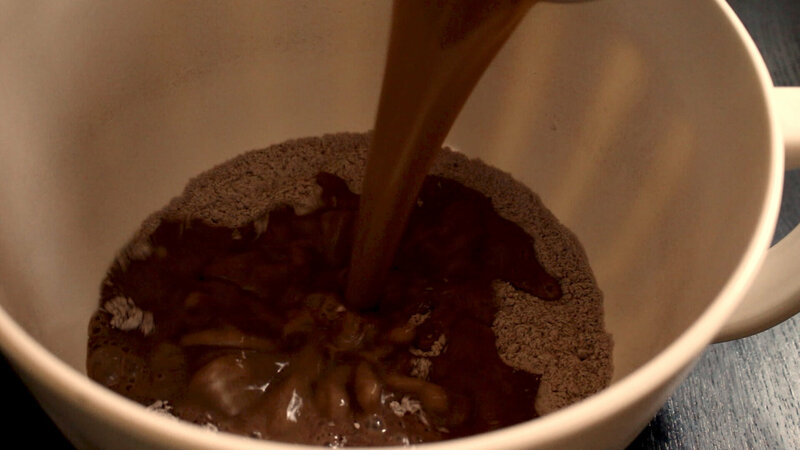 then stir in the chopped chocolate. Bake for about 25 minutes. Take out of the oven, let cool off a little bit and then apply the frosting. Bring coconut milk and 2 tablespoons brown sugar to a boil, stir well and then turn the heat off. Add coffee and whiskey. Stir from time to time. 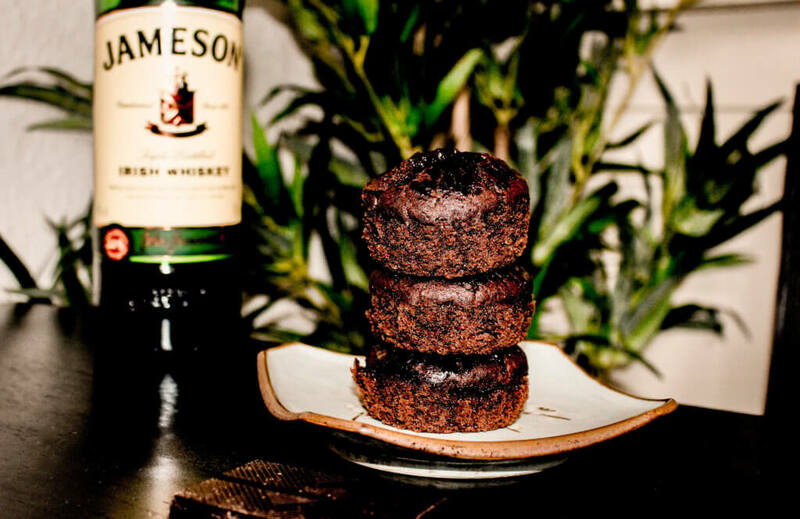 For the frosting: place 7 pieces of chocolate in a cup and add 1 tablespoon of the whiskey mixture and 1/2 teaspoon maple syrup. Stir until chocolate has melted and set aside. 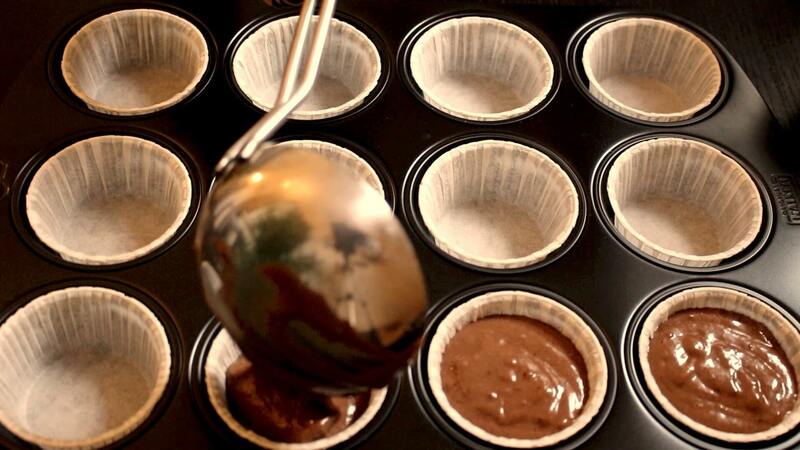 Preheat oven to 180° C/ 375° F and line the muffin pan. 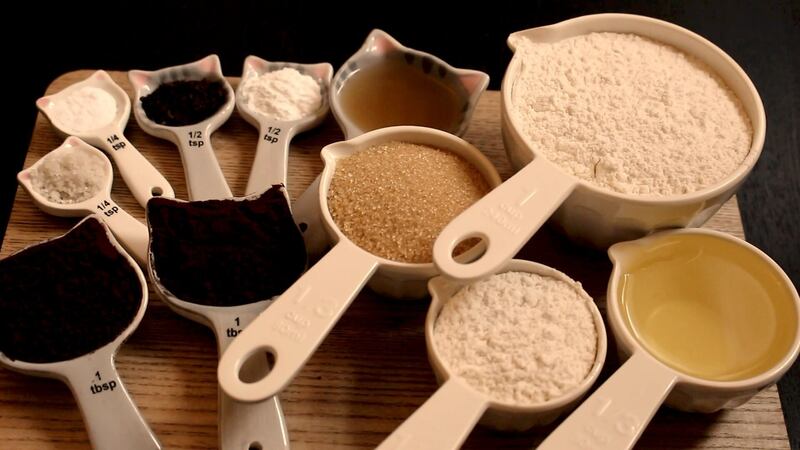 Combine flour, brown sugar, cocoa powder, baking powder, baking soda, salt and vanilla in a bowl and stir well. Then add to the dry ingredients and stir just until combined, don't overstir. 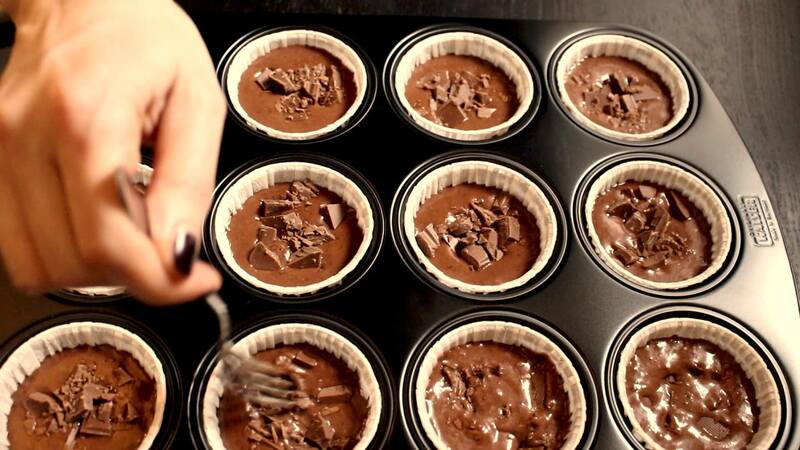 Fill the paper cups only to 3/4, I find it easiest with a ladle, then stir in the chopped chocolate. Bake for about 25 minutes.